After years of civil war, the Autobots fled Cyberton, leaving their home planet in the evil clutches of Megatron and his Decepticons. Years later and millions of miles away, the Autobots pick up a Cybertronian distress signal from a mysterious planet called Earth. 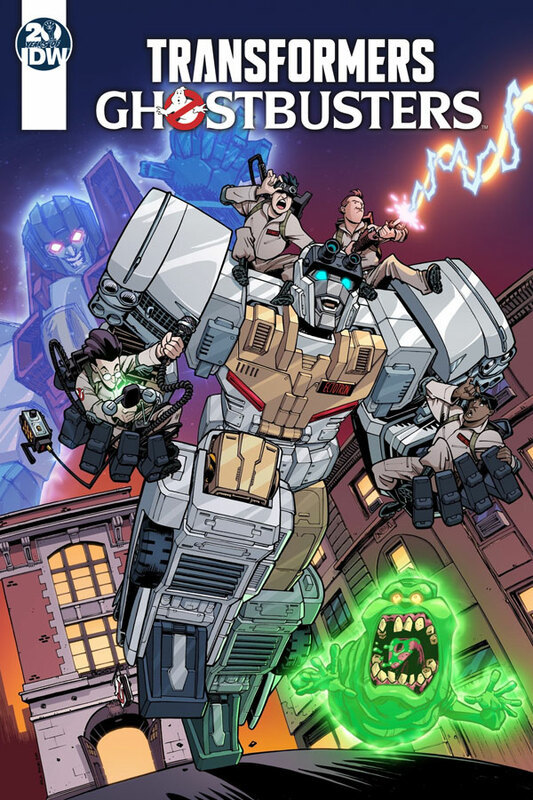 The ghostly signal shouldn’t exist, and it’ll bring Optimus Prime and his team – including brand-new Autobot Ectotron – face-to-face with… the Ghostbusters! Written and illustrated by the long-time fan-favourite Ghostbusters creative team of Erik Burnham, Dan Schoening, and Luis Antonio Delgado!